He was incredibly kind, informative and generous with his time. I will absolutely go back and recommend others. I had a very good experience with Dr. Spencer. The office is so efficient and there was no wait time fromthe check in to seeing the doctor. Jerry, his assistant, was very nice, sweet and professional. Dr. Spencer explained my issue thoroughly. I am super impressed with this office and staff. I highly recommend them. I had a very good experience with Dr. Spencer. The office is so efficient and there was no wait time from the check in to seeing the doctor. Jerry, his assistant,was very nice, sweet and professional. Dr. Spencer explained my issue thoroughly. I am super impressed with this office and staff. I highly recommend them. * Please expect a phone call from this practice to confirm your appointment. Dr. Robert Spencer is an insightful, thorough podiatrist treating patients in Mission Viejo, California. His primary goal as a practitioner is to get patients back on their feet in a timely manner, through innovative techniques and quality education. In addition to providing care himself, he trains residents to become foot and ankle surgeons. 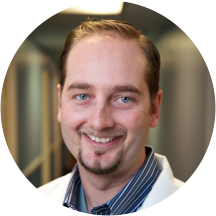 Born and raised in Orange County, Dr. Spencer attended California State University for his undergraduate degree. He pursued his medical degree at the Temple University School of Podiatric Medicine. Through the Kaiser North Bay Consortium, he completed a residency, training in podiatric treatments and surgical procedures at Kaiser Permanente Hospitals in Vallejo, Santa Rosa, and San Rafael. Patients visiting Dr. Spencer can receive a full range of podiatric care. He offers procedures including foot and ankle arthroscopy, flatfoot reconstruction, and treatment for foot and ankle trauma and bunions. He also works with U.S. Healthworks Medical Group, one of the largest worker’s compensation organizations in the state. When he is not treating patients, Dr. Spencer enjoys spending time with his family. Great experience at Dr. Spencer’s office! He took care of my problem right away and explained everything to me. Everyone in the office was very helpful and professional. Highly recommend! I came to Dr. Spencer very concerned about some lingering problems with my foot that were making it difficult to even walk. Instead of listening to my medical history or symptoms, he starts in on "you girls and your cute shoes".I let him know I have only been wearing flats approved by my physical therapist since I broke an ankle last year. He waves me off and goes back in with "but I bet they're cute" and "if you MUST wear cute shoes, change in the car, I know how you girls are". I left the appointment feeling unheard, demeaned, and concerned that I still have a serious problem he didn't bother to diagnose. I do want to mention that everyone else in the office was fantastic, the front desk had my paperwork from Zocdoc ready to go and the PA was super helpful and efficient. The appointment was on time and there was free wifi in the waiting room. However, I cannot in good conscious recommend this practice to anyone due to Dr. Spencer's lack of ability to look past my gender and see my symptoms. I was so happy to get an appointment quickly as my ankle was really hurting. He was prompt and thorough and thankfully my issue is minimal and will resolve with rest. I highly recommend him and this office. It was a pleasure meeting Dr. Spencer. He spent enough time with me and seemed interested. He spent a lot of time with me explaining my conditions and informing me of my best options. I will be a returning patient. Very professional. They were all nice. My experience was fantastic! I highly recommend! I'm an allied health professional and am therefore perhaps too picky, but I have to say that the visit was truly a pleasure and worth the 90 mile drive (each way). The office staff (Karen) was great and Dr. Spencer wasnot only super approachable, but not put off by my own "knowledge" which allowed for a great discussion and thorough assessment! Great experience. Very professional team and doctor. Everyone was very pleasant. Assessed the problem and scheduled a follow up so we will see how the treatment goes, but I felt very comfortable that he made an accurate assessment and recommendation for treatment. Extremely professional and took the time to clearly explain my injury and how to heal in the fastest way. Friendly and upbeat doctor. After being seen by several doctors and having several x-rays done of my broken foot, Dr. Spencer was the first to see my lisfranc fracture! Though it is terrible news, I am thankful for his knowledge and expertise to have caughtit. He was very patient with me as I cried at the news, and was willing to spend as much time with me as needed to answer all of my questions. Julie in his office is great too, and even gave me a hug on the way out the door. Dr Spencer clearly explained the cause of my foot pain and gave me two treatment options. I had been avoiding podiatrists for many years. That is like avoiding your family doctor because you don't want to admit you are sick - bad idea. Very busy office, but well run and organized. Staff was extremely efficient and nice to boot :) Dr. Spencer has a very good bedside manner and very knowledgeable ,informative in his practice. Only downside is, they don't validate parking inthe structure, but it's only a couple of bucks,, so not a big deal. Dr Spencer explained to me the process that was needed to start healing my foot pain. He showed several ways to alleviate it. His assistant was also helpful in showing other methods to begin the healing process.